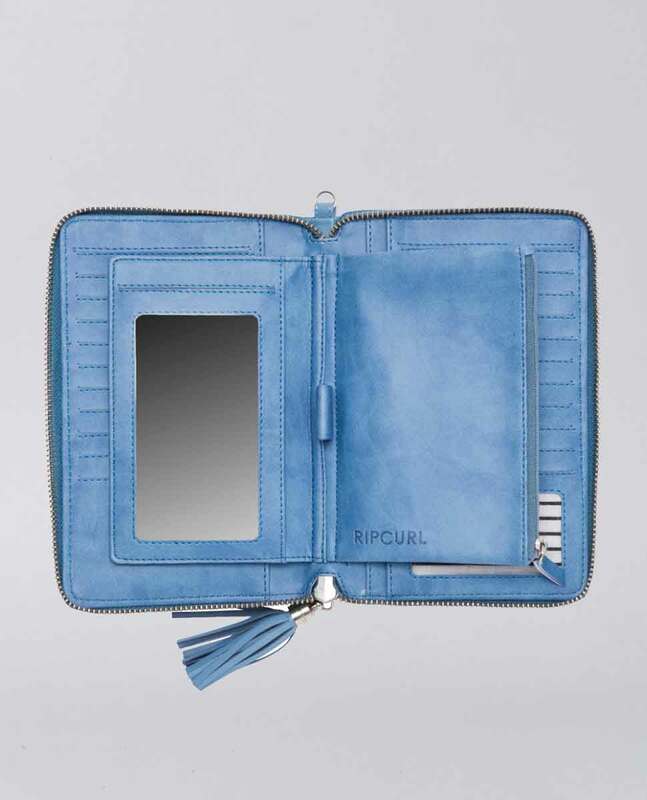 The Essentials RFID Oversized Leather Wallet is a great oversized leather wallet for ladies, made of 100% full grain leather and fitted with RFID protection. 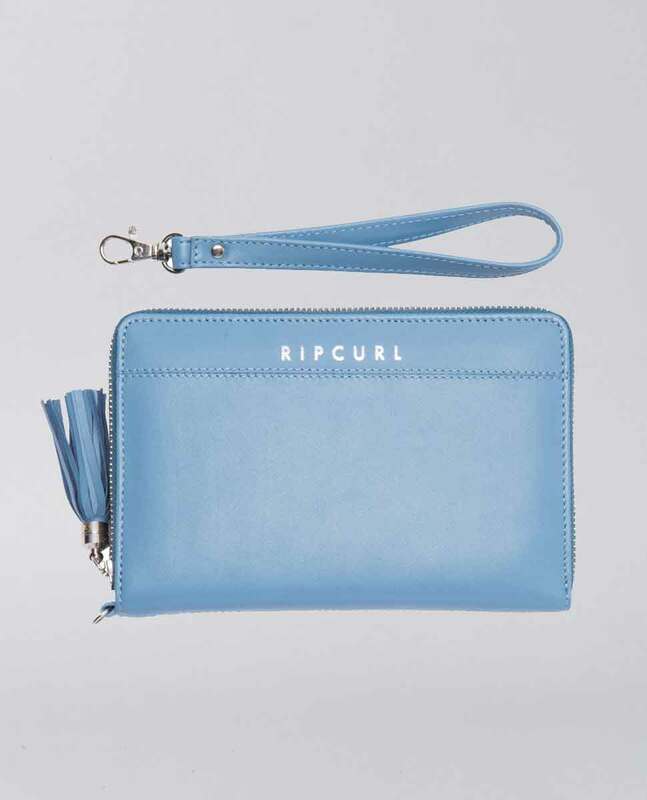 Fitted with a zip around closure with a wristlet, tassel and mirror. Inside you'll find a card, note, and coin compartment.